What is Revenue Recognition and why is ASC 606 important? Revenue recognition is an accounting rule of the generally accepted accounting principles (GAAP) that determines the specific conditions under which income become realized as revenue. It’s also the key focus of the important new ASC 606 standards taking effect in 2018 for public companies and in 2019 for private companies. The guiding principle is that organizations recognize revenue only as the value for the product or service is being received by the customer. Revenue recognition is a particularly important accounting measure for subscription-based businesses. For example, you’ve signed a customer to a monthly subscription service that starts on January 15 and the value of the service is delivered throughout the month of January, through to February 14. On January 31, 16 days of the subscription is “earned revenue" since that much of the service has been delivered to the customer. The “not yet delivered” portion of the service – 14 days, is counted as “deferred revenue”. Why is Revenue Recognition Important? Revenue recognition reflects the true extent of revenue earned during a specific period. In a subscription business, revenue needs to be recognized daily and this is extremely hard to accomplish manually, in a timely fashion and without error as subscriptions are received every day - each resulting in a unique revenue recognition calculation. Adding to this already complex process, customers often make changes to their subscriptions mid-term. These changes require real-time, complex adjustments to drive proper revenue recognition. How Does Fusebill Help You Recognize Your Earned and Deferred Revenue? With Fusebill, revenue recognition is handled automatically. 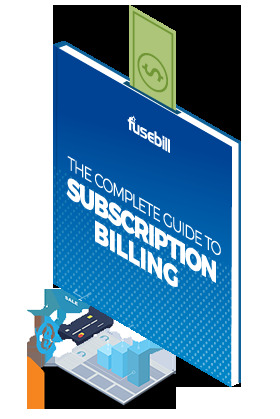 The Fusebill platform manages multiple pricing and subscription schemes and allows for customer subscriptions to be received directly and automatically at any time of day and any day of the week. Fusebill allows all the pieces of a subscription agreement to be broken into separate parts that can each receive a value and a revenue recognition schedule, giving you complete control over how and when revenue gets recognized. The ability to recognize your revenue quickly and accurately, at any point in time, allows you to meet your account closing deadlines, be compliant with the new ASC 606 standards and have access to an accurate real-time picture of your revenue. To ensure you always know where you stand, Fusebill’s revenue recognition dashboard shows you at any given time, how much of these transactions are still in a deferred or earned account. Fusebill is the industry leader in simplifying revenue recognition and its agile platform automates and manages all your subscription billing activities. Speak to one of our experts to see how Fusebill can help with your revenue recognition needs. Companies exploring subscription billing solutions need to ensure they choose a platform that meets their long-term needs. Uberflip’s customer invoicing requirements are high volume and steadily growing. With over 1600 subscription customers and multiple subscription packages for them to choose from, their subscription management and billing requirements were becoming unmanageable with their manual process. ClearPathGPS’ customer billing requirements are highly customized and high volume. They are a no-contract provider which means they need to prorate subscriptions to the day and there can be hundreds of plan adjustments daily. Not only is this a cumbersome process but it is a complex one that required a flexible solution. instream has reduced their registration and billing process time by 80%. See how Fusebill saves them time and money allowing them to focus on other strategic areas of the business. NonProfit Technologies (NPT) had experienced tremendous growth at an early stage, scaling their customer base by 500% within the first 2 years of business. Fusebill helped to fuel that growth by automating their billing, allowing NPT to focus on other important areas of their business. AUTOMATED SUBSCRIPTION MANAGEMENT. ELIMINATE BILLING BOTTLENECKS. LAUNCH PRODUCTS FASTER.